The following are questions that are directly asked or we observe on multiple internet forums that are monitored by Raptor Shooting Systems’ team members. Question – If I have questions, how can I ask them or is there a forum I can ask you on? Read through this website, including the FAQ section, before sending questions. Compose a complete email with all of your questions. It is very time consuming to engage in back and forth communication responding to questions asked one at a time. Be respectful of my time. 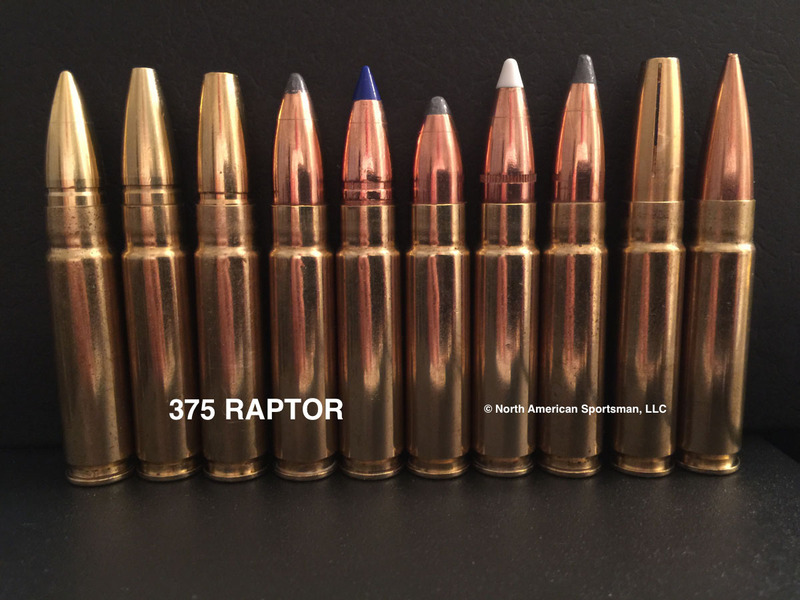 There are multiple RAPTOR cartridges (45 RAPTOR, 375 RAPTOR, 7 RAPTOR, 257 RAPTOR), so begin with telling me what cartridge you are asking about. Also, tell me what gun you are using and the components you built it with. Finally, you MUST include your first and last name; city and state; and a phone number so if we feel that it would be easier to call you to discuss your question. I will not respond to emails that do not include this information. Question – What bullets does the 45 RAPTOR use? Answer – The 45 RAPTOR is able to shoot Full Metal Jacket, Hollow-Point and Polymer Tipped Bullets. For demanding hunting applications, bullets designed for the 460 SMITH & WESSON MAGNUM and 454 CASULL are all ideal for the 45 RAPTOR. Question – Are all handgun bullets safe to use at rifle cartridge pressures.? Answer – If you are seeking to develop a load with a particular bullet not listed under published load data for the 460 SMITH & WESSON MAGNUM, you should always ask the bullet manufacturer directly through their technical support line regarding any pressure limitations. As a suggestion, ask the manufacture if a certain bullet would be safe to use in the 460 SMITH & WESSON MAGNUM, 454 CASULL or the 450 BUSHMASTER. If not, move on to another bullet or manufacture because there are numerous options available. Development of a new load should always follow conservative loading principles of starting low on powder charge and proceed slowly. Even using published load data, NEVER start with the maximum powder charge because powder manufacturers have an allowable variance within production of up to 10%. Many a competition shooter has learned the lesson of having their perfect load become a non-shooter because they bought a new lot of their favorite powder and loaded for a match without re-verifying the performance. Finally, always be cautious of load data published by individuals on internet forums. Question – Is Factory Loaded 45 RAPTOR Ammo Available? 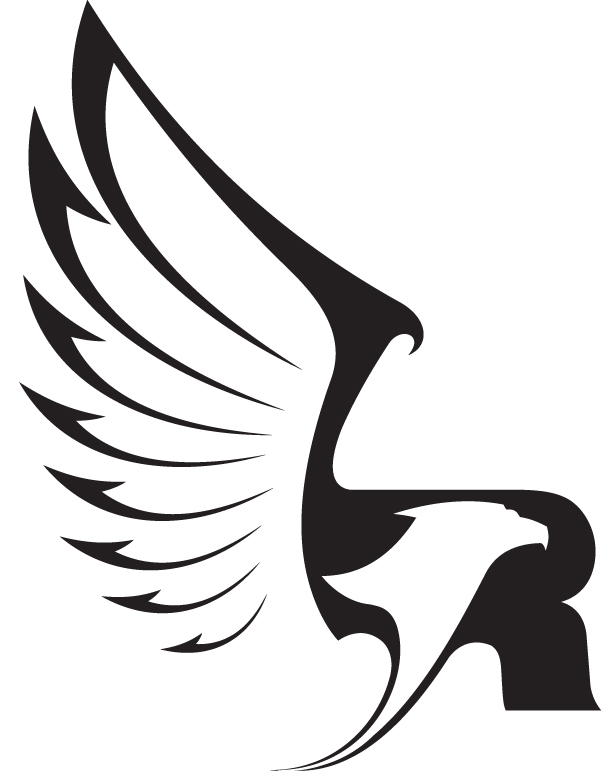 BW Outfitter, with 2 retail outlets in Iowa, has contracted for private label 45 RAPTOR ammunition. Question – What is the magazine capacity of the 45 RAPTOR? Question – I have an Armalite AR10, how can I use the 45 RAPTOR? Question – What type of hunting is the 45 RAPTOR designed for? Answer – The 45 RAPTOR was designed to hunt any medium to large game animal in North America including Deer, Hogs, Elk, Moose or Bear. Question – What is the trajectory of the 45 RAPTOR when properly sighted in? Answer – The 45 RAPTOR is designed to operate out to 200 yards staying within +/- 3 inches of the point of aim keeping within a 6 inch diameter vital area without hold over or sight adjustment. Question – The velocities shown for the 45 RAPTOR are noticeably higher than what is reported for the 460 SMITH & WESSON MAGNUM in published reloading data, how is this achieved? Answer – The 460 SMITH & WESSON MAGNUM load data is shown for revolvers that typically have a 8.75 to 10.75-inch barrel. Unfortunately, these revolver length barrels do not allow 100% powder combustion within the barrel and produce significant muzzle flash. The increase in barrel length to 16-inches in a rifle permits the 45 RAPTOR to achieve 100% or near 100% combustion within the barrel harnessing that energy to propel the bullet. Question – Does the 45 Raptor chamber match the 460 SMITH & WESSON MAGNUM SAAMI specified chamber dimensions? Answer – No, beyond changing from a rimmed to a rimless design that head-spaces off the case mouth, additional clearances were incorporated into the 45 RAPTOR chamber given its intended use in a semi-automatic rifle. In addition, the throat design has increased freebore and a shallower lead angle than the 460 SMITH & WESSON MAGNUM SAAMI specified chamber dimensions. Question – What level of accuracy is obtained with the 45 RAPTOR? Answer – In testing with a complete range of bullet weights and designs, the 45 RAPTOR consistently delivers 2 MOA accuracy within 200 yards. Certain bullet designs, FMJ RN and FTX bullets, have demonstrated increased levels of accuracy. Question – Is the 45 RAPTOR legal for is the State of IOWA for deer hunting using a rifle based on new 2017 Iowa Deer Hunting Rifle law change? The Iowa Department of Natural Resources has worked to clearly define what is legal and have been creating a list of approved cartridges that meets the new criteria. According to information we have received as of June 2, 2017 from The Iowa Department of Natural Resources , the 45 RAPTOR has been added to the list and will be legal for rifle hunting during the 2017 season so the simple answer is YES, YES, YES. As the designer of the 45 RAPTOR, we will be working closely with BW Outfitters to support their efforts expanding the presence of the 45 RAPTOR in IOWA. Who knows, perhaps I will even make an appearance at BW Outfitters this year to meet end users and answer your questions on the 45 RAPTOR and our other cartridge designs. Question – Is the 45 RAPTOR legal for rifle hunting in Indiana? Answer – Yes, with a maximum case length of 1.800 inches and caliber greater than .35, the 45 RAPTOR meets the regulations established by the State of Indiana for a rifle-hunting cartridge on public lands. Question – Is the 45 RAPTOR legal for rifle hunting in Michigan? Answer – Yes, with a maximum case length of 1.800 inches and caliber greater than .35, the 45 RAPTOR meets the regulations established by the State of Michigan for a rifle-hunting cartridge. Question – Is the 45 RAPTOR legal for rifle hunting in Ohio? Answer – Yes, the 45 RAPTOR is legal for rifle deer hunting in Ohio. The State of Ohio changed from an approved list of cartridges allowed for rifle hunting to include any straight-walled cartridge with a minimum caliber of .357″ and maximum caliber of .500″. Question – What is your preferred hunting bullet and powder combination? Answer – The Hornady 225 FTX has proven very popular using IMR-4227 starting load of 43 grains. Recoil is moderate with excellent accuracy. Customers have taken Deer, Moose, Black Bear and Hogs with this bullet with devastating results. Question – Can you get a 45 RAPTOR AR-15? Answer – The 45 RAPTOR is designed only for AR10A , LR308, and SR25 rifles ; or bolt action rifles that are designed to support the 308 Winchester withstanding the operating pressures and bolt thrust levels that are the same as the 45 RAPTOR. The AR-15 series rifles were never designed for .473″-.478″ diameter cartridges, let alone a cartridge with a 62,000 PSI Maximum Operating Pressure. There are multiple reasons why it should never be done and every reason is related to operator safety. This is not the opinion of one individual, it is the opinion of multiple people with extensive experience in cartridge and firearm design and manufacturing. We STRONGLY advise consumers against buying any such AR-15 product, under any name, if it is represented to use 45 RAPTOR brass and 460 Smith & Wesson load data (even restricting to starting published loads). Furthermore, we will not support or supply brass to any company or individual attempting to make an AR-15 series rifle chambered in 45 RAPTOR or whatever name they try to call it. If you want a 45 RAPTOR, put together an LR308 and enjoy it operating at its full potential knowing that the rifle was designed from the beginning to SAFELY use a cartridge of this size operating at this pressure level. Question – Why a .45 Caliber, wouldn’t a .50 caliber be better, more powerful? Answer – We modeled a 500 RAPTOR (.499 Caliber) by making a rimless 500 S&W Magnum and while it can deliver impressive muzzle energy, the reduced ballistic coefficients of .499 caliber bullets compared to the .452 bullets resulted in reduced terminal energy at 200 yards. For example, a 300 grain Hornady XTP Mag bullet in .499 caliber has a G1 BC of .120 where as the .452 caliber has a G1 BC of .200. In the simplest terms, the .45 RAPTOR outperformed a .50 caliber where it counts – downrange. Taken further, our 375 RAPTOR shooting a 300 grain bullet. took terminal performance to an even higher level producing in excess of 2000 ft-lbs of energy at 200 yards. Question – Why a .452 Caliber, wouldn’t a .458 caliber be better because of the big game bullets made in .458 for cartridges like the .458 Winchester Magnum and .458 Lott? Answer – While bullets made for the venerable 45-70 are highly effective when fired at moderate velocities, many people assume that .458 caliber 400-500 grain dangerous game bullets would be even better. Bullets are designed to perform impacting the target within a certain velocity range. When impacting the target below the minimum velocity, the bullet will not expand and the expansion properties are wasted. In contrast, over speeding the bullet will not result in optimal performance either. So while the idea of throwing 400-500 grain bullets sounds like more power, the simple reality is large bullets require large cases to propel them at sufficient velocities to be effective. 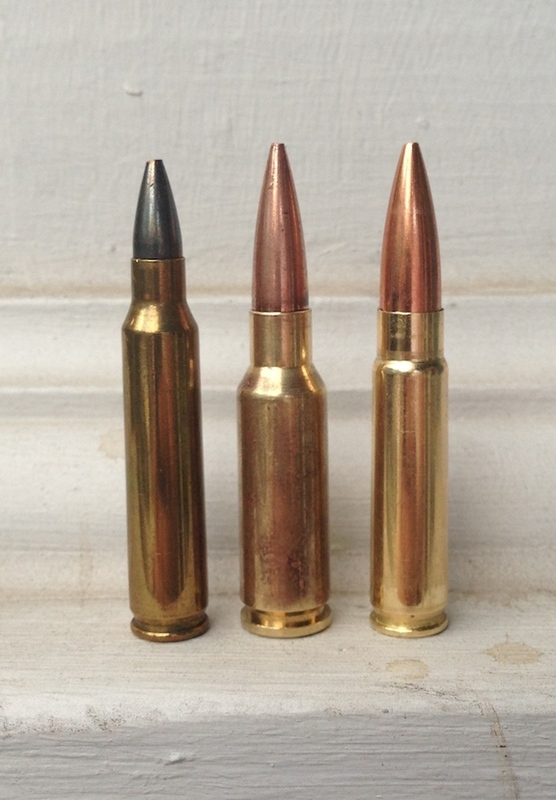 A colleague is who is a highly experienced big game hunter in both Alaska and Africa has highlighted the differences in how the .458 Winchester Magnum and .458 Lott perform on target. He has learned that sometimes, the slower .458 Winchester Magnum is better. One of the advantage of .452 bullets is that they are designed for moderate velocities (compared to rifle velocities) and the large hollow-points lead to rapid expansion on target. Question – How about a .44 caliber? Answer – Of course this question has been asked and yes, we made one. While a 44 caliber (properly .429 diameter) would offer higher ballistic coefficients for a given bullet of the same weight (300 grain Hornady XTP MAG), the smaller diameter bullet will be longer reducing available powder capacity. Question – What barrel lengths are best for the 45 RAPTOR? Answer – The best barrel lengths we found for the 45 RAPTOR are 16-inches and 18-inches barrel with ¾-24 threads for muzzle brakes and suppressors. We have tested longer barrels for the AR308 series of rifles and the increase in velocity does not contribute to an increase in maximum point blank range. Question – Did you use special buffers or buffer springs? Answer – No, the buffer and buffer are standard DPMS LR308 parts. The timing was developed by refining the gas port sizing on a mid-length gas system to work with a complete range of bullets and different load levels. To take testing further, we took a complete .308 WINCHESTER rifle, removed the 30 caliber barrel and installed a 45 RAPTOR barrel and magazine, changing no other parts and proved function. Question – Who makes 45 RAPTOR brass? Answer – Raptor Shooting Systems has contracted with STARLINE to produce 45 RAPTOR brass to the same pressure capacity specifications as the 460 SMITH & WESSON MAGNUM. STARLINE has been given permission to accept large quantity orders from other shooting supply retailers and, if they choose, to sell 45 RAPTOR brass directly on their website. Raptor Shooting Systems sells brass and has continuously since April 2014. Brass is available in 250 piece or 500 piece quantities. Question – Are there are any special comments on loading that a hand loader should be aware of? Answer – Yes, do not full length resize new brass. The brass is manufactured to withstand high operating pressures and full length resizing new brass work hardens the brass making it brittle which can lead to splitting cases especially if the round is over crimped. During firing, the heat and pressure stress relieve the brass allowing it to soften to be full-length resized. In addition to not resizing brand new brass, you should only minimally flare the case mouth to seat bullets in the case. When using a taper crimp die, you should NOT over crimp the case. Only TAPER CRIMP the loaded round to return the flared portion of the case to the remainder of the case. If crimping the case reduces the diameter of the case mouth, you are reducing the area used for headspacing the cartridge in the chamber. Furthermore, you are increasing the chamber pressure of the cartridge required to release the bullet from the case. Furthermore, we have noticed that more recent production lots of powders such as Hodgdon Lil Gun are running faster than previous lots. As such, we recommend that you choose powders other than Hodgdon Lil Gun, H100 or W296. Alternative powders include Accurate 5744, Accurate 1680, Accurate LT-30, IMR 4227, Hodgdon H4198 and Alliant 300MP following established load development practices. Question – What scope do you suggest for the 45 RAPTOR? Answer – We have had good success using the Leupold Mark AR Mod 1 3-9x40mm scope. The 3 to 9 power range is perfect for hunting out to 200 yards which the cartridge is designed for. At 12.4 ounces, it is a lightweight scope and we have had no issues with the recoil levels of the 45 RAPTOR. While available with Duplex and Mil Dot reticles, we find the Firedot-G TMR Illuminated reticle is especially useful in dawn and dusk light conditions. MSRP pricing ranges from $374.99 to $564.99 depending on reticle choice. Question – Is the 45 RAPTOR exclusive to Raptor Shooting Systems? Answer – RAPTOR SHOOTING SYSTEMS is the developer of the 45 RAPTOR. However, any properly licensed manufacturer is free to make it. Question – Let me get this straight, if DPMS wants to chamber the new G2 rifle in 45 RAPTOR, they can? Answer – Yes, DPMS is a reputable company, properly licensed, ITAR Registered and insured with a good customer service reputation therefore, DPMS is more than welcome to offer the 45 RAPTOR in the G2 rifle. Of course, COLT or SMITH & WESSON can do the same in their 308 AR rifles. Question – I want to build my own 45 RAPTOR barrel, where can I get the reamer? Answer – The 45 RAPTOR design is subject to ITAR regulations and as such, the reamer may only be sold to companies that have a BATF 07 license and are ITAR registered. Violation of ITAR carries with it significant significant penalties including fines and imprisonment. Question – I live in Australia, Canada, etc and I want a 45 RAPTOR? Answer – The 45 RAPTOR is not available for export or transfer to any foreign national who is not legally permitted under US Federal Law to purchase a firearm. As a defense technology, US Federal Law prohibits the transfer of defense products or information including dimensional drawings not in the public domain to any non US Citizen or Legal US Resident. The penalties for violating these regulations are severe and include imprisonment and fines up to $500,000 per offense. Question – What other new cartridges is Raptor Shooting Systems working on? Answer – the 45 RAPTOR is the first new cartridge release, but it will not be the last. We have been working on both the 7mm RAPTOR and 257 RAPTOR for the AR15 platform. For the LR308 and other 308 Winchester based platforms, we have developed the 375 RAPTOR.